Welcome to the last issue of ManageByStats This Week for 2018. Issue 52 (1852), the 52nd and final week. As we prepare to enter 2019 we’ve put together a few items of interest to get you off to a great start.For openers, we’ve added another key Amazon market; Japan. Read about that in What’s New. In Sellers’ Paradise we’ve got some insight on the value of your business. 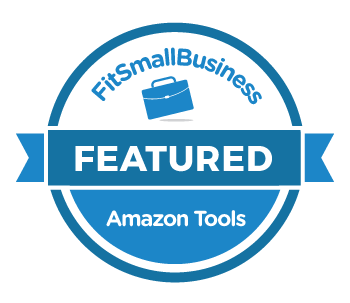 You may not realize just how much your investment and hard work into your Amazon business is worth.Tips & Tricks this week talks about SellerBlast, a tool in MBS that can help you create email campaigns to follow up with your holiday customers. And under The World Of Amazon we’ll take a look at the latest relevance of the Buy Box.Here’s to a fast launch to 2019! Planning to keep growing my business and brand; no intention of selling, at least not any time soon. Love my business and brand but never thought about selling; tell me more. Been planning to sell, just looking for the right opportunity/partner. The first thing is to create a list of contacts to which you’ll send your email. 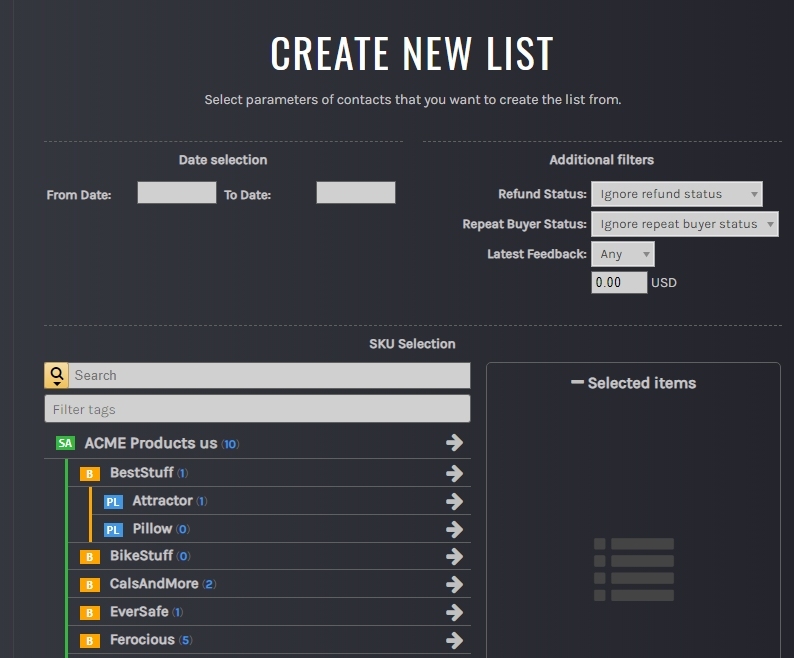 Do this in your SellerBlast under Contact List. When you click the “+” to create a list you see all available options for constraining the included customers, by date of purchase, repeat buyer and refund status, which products they bought, etc: Once you create your list you can then create a message and create and schedule your campaign. This is a great way to reach your holiday buyers, with a thank you, a coupon, or any other sort of relationship and retention building message.When in your SellerBlast click the Help icon and the Knowledge Base for complete instructions on how to use these features. The Buy Box is as old as the Amazon marketplace and is built on a core principle which has survived for decades: many sellers can source the same product. This has been instrumental in bootstrapping the marketplace; brands which didn’t want to sell to Amazon appeared on it thanks to the dozens of retailers who had access to their products for their stores. The Buy Box concept is what built the marketplace, as it allowed retailers to compete with each other on price as if they were all on an infinite retail street.But today the Buy Box sounds increasingly less relevant. It almost sounds fundamentally broken at times ...How Relevant Is the Buy Box? Sometimes I just have to tell myself that it’s just not worth the time in jail.W.C. Fields, “Greet each day with a smile. And get it over with!”As I watch this generation try to rewrite history, one thing I’m sure of ... it will be misspelled and have no punctuation. (Let’s eat, Grandma! ... Lets eat grandma! )According to last week’s news: Chocolate is good for you and Romaine lettuce can kill you. A number of women I know have been preparing for this moment their entire lives!I know a thief who stole a calendar got twelve months.He had a photographic memory but it was never fully developed.When she saw her first strands of grey hair she thought she’d dye.Acupuncture is a jab well done. That’s the point of it.Those who get too big for their britches will be exposed in the end. “Tomorrow is the first blank page in a 365 page book. Write a good one.”- Brad Paisley All the best,Your ManageByStats Team Read Our Newsletters Online! And don't forget to share ManageByStats with your friends. Our affiliate program pays you an ongoing 25% referral commission.See the Affiliate menu under Settings in your ManageByStats.